From the picture above you can see, the package is very special. It comes in a square box. When you pull open the upper layer that covers the box, you will find the packing box is pretty innovative. The first layer is hollowed-out with the shape of the LED of the box mod. On the box, it is printed with the LED light. You will find it’s pretty interesting. 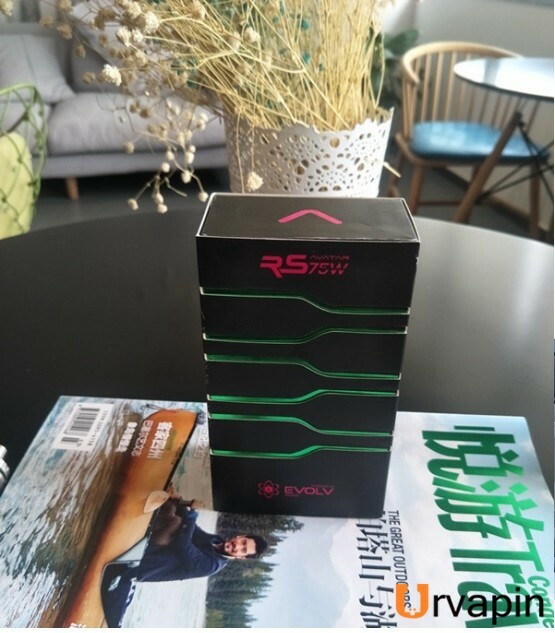 When you take of the top cap, there you will see the Puff Avatar RS DNA 75w and a manual. Personally, I really like the box. 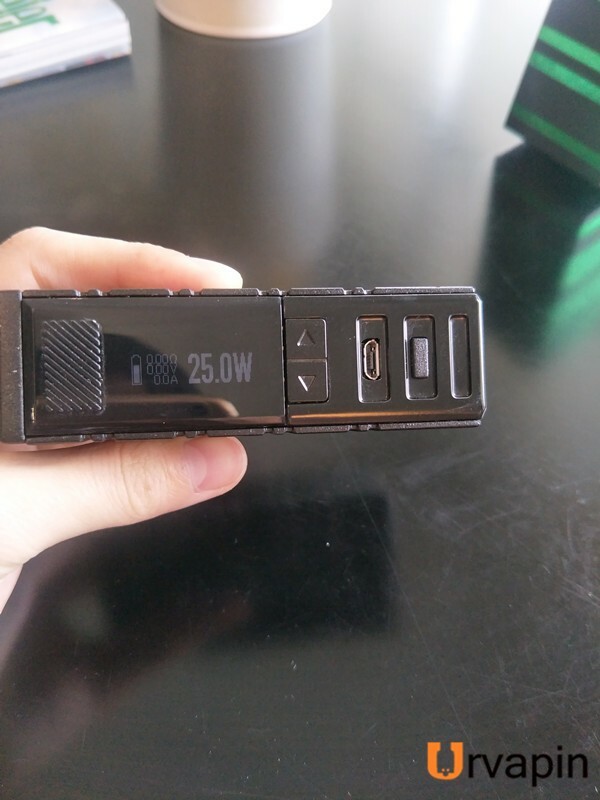 As you can see in the picture, the shape of Puff Avatar RS DNA 75w mod is just a rectangular. The first thing you see on the mod is the LED light. The LED light goes through three sides of the mod. On the fourth side, there is the screen and the buttons. The fire button is on the upper part of the screen. Below the screen, you can see the two adjustment buttons, the USB port and the color changing button. On the top of its bottom, there is the 510 thread. 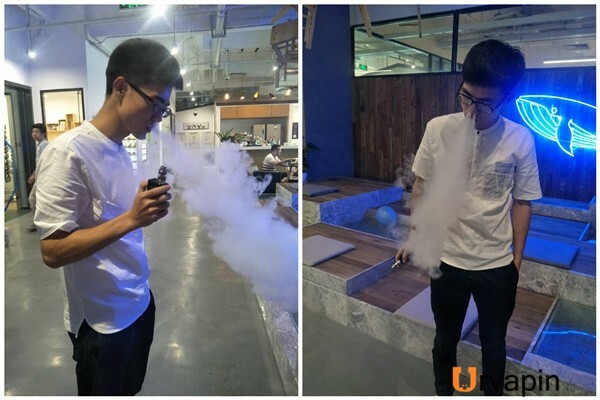 Since the mod is 28mm wide, the largest diameter of atomizer to be used on this mod without overhang can be 27mm after trying. At the bottom, there is the battery compartment. To open it, you can simply use a key or even the handle of a spoon unscrew the thread. Then you will see the column-shaped battery compartment. It can hold only one 18650 battery. The thread is spring-loaded. On the inside part, there are four grooves and on the outside part, there are several venting holes. 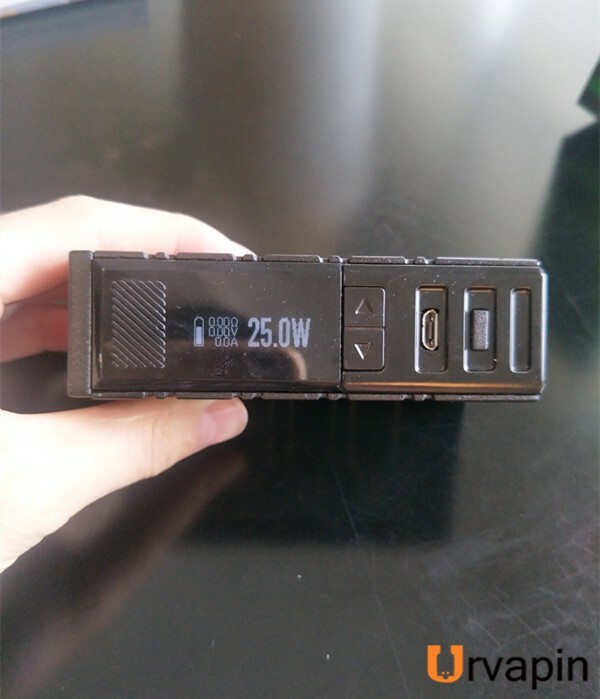 After you installing the battery into the battery compartment, the screen will be on and shows the information of wattage, voltage, resistance, ampere and the battery remnant capacity. To vape on, you need to press the knurled fire button on the screen. By pressing the two “left”and ”right” adjustment buttons, you can quickly increase or decrease the wattage. Below the adjustment buttons, there is the USB port, with which you can use a USB cable to charge the mod. Below the USB port, there is the color changing button. By pressing this button, you can change the color of the LED light. 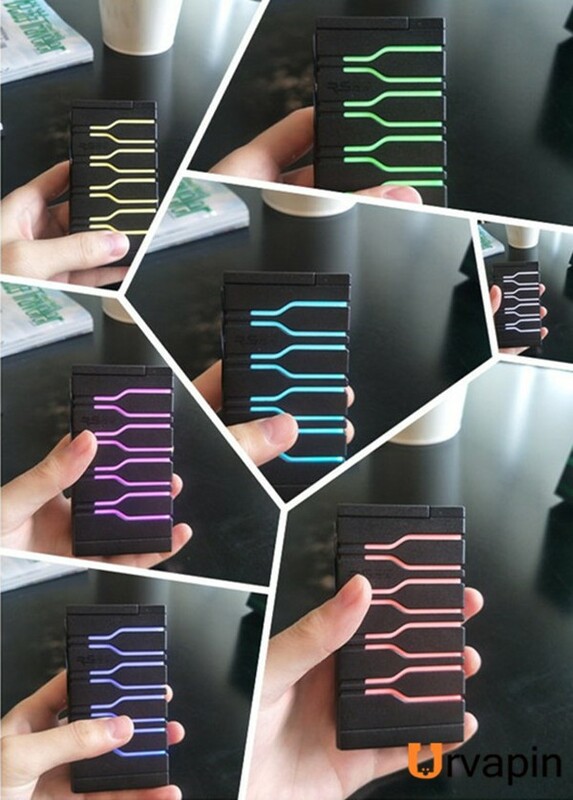 The light can be changed in seven colors, white, yellow, green, blue, orange, purple and red. You can adjust the corresponding color to match the clothes you’re wearing, and it is surely a pretty good choice to vape this mod in a nightclub. For more operation instruction, the manual gives detailed instruction. I will not show it here. 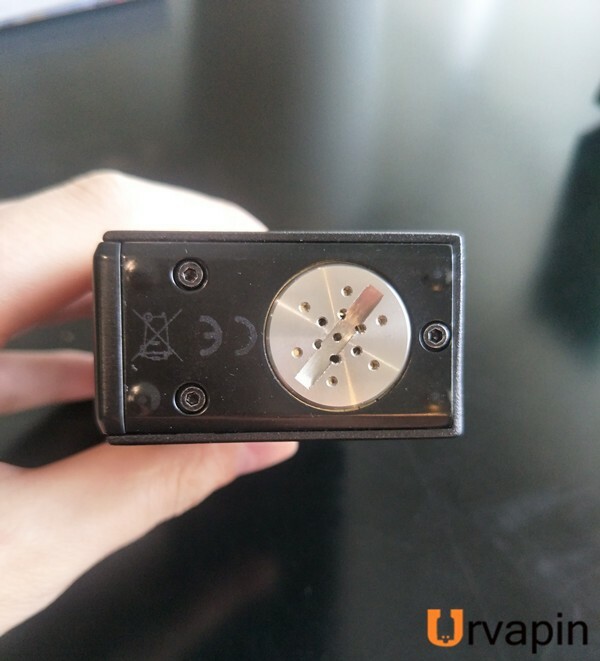 This mod adopts a DNA75 chip. 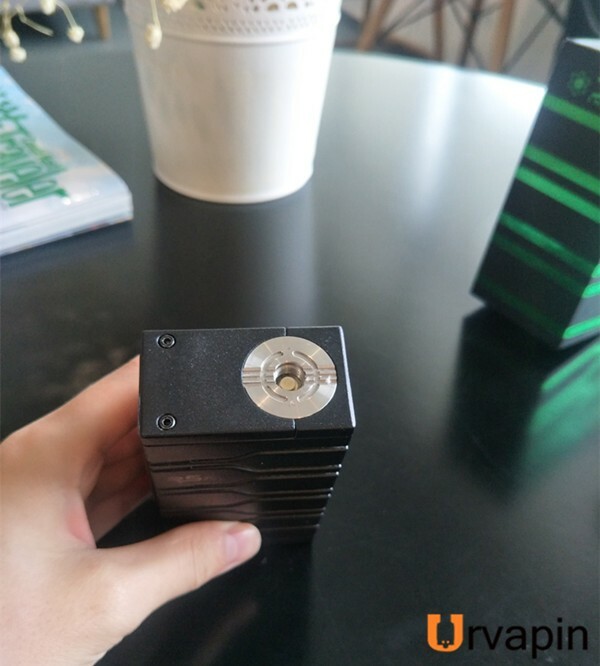 The mod can reach a maximum wattage output of 75w. Though its explosiveness is not so strong, it can still produce big vapor, even powered by only one battery. Pictures above show the vapor produced at 75w and 30w. Personally, when it’s under 75w, the vapor is much bigger; when it’s under 30w, the the flavor is much bigger. 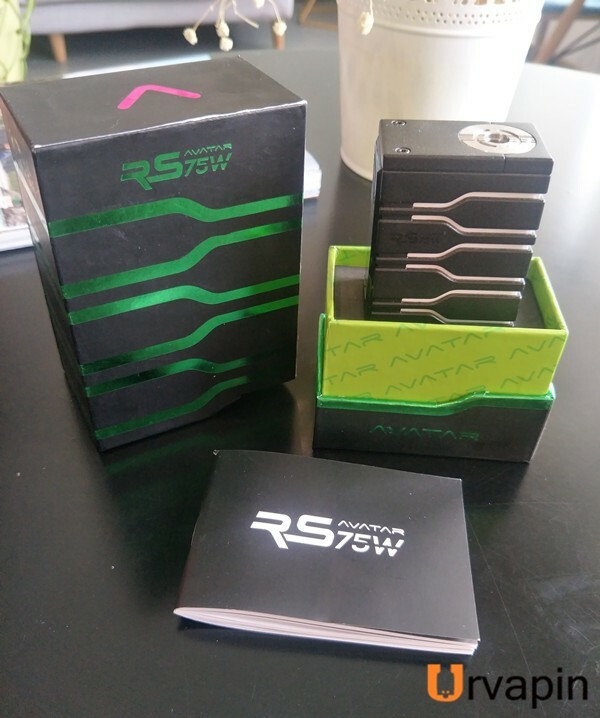 In summary, Puff Avatar RS 75W Box Mod is absolutely a fusion of fashion and simplicity. For those chic vapors, this Italian-designed box mod will be a fabulous choice.